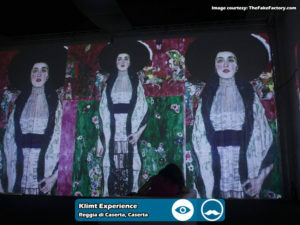 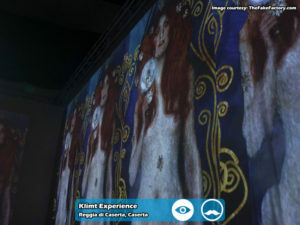 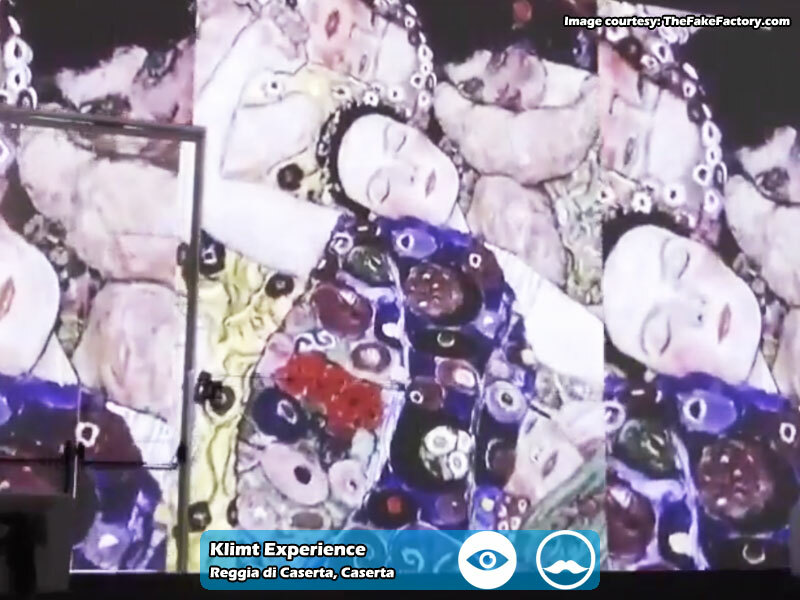 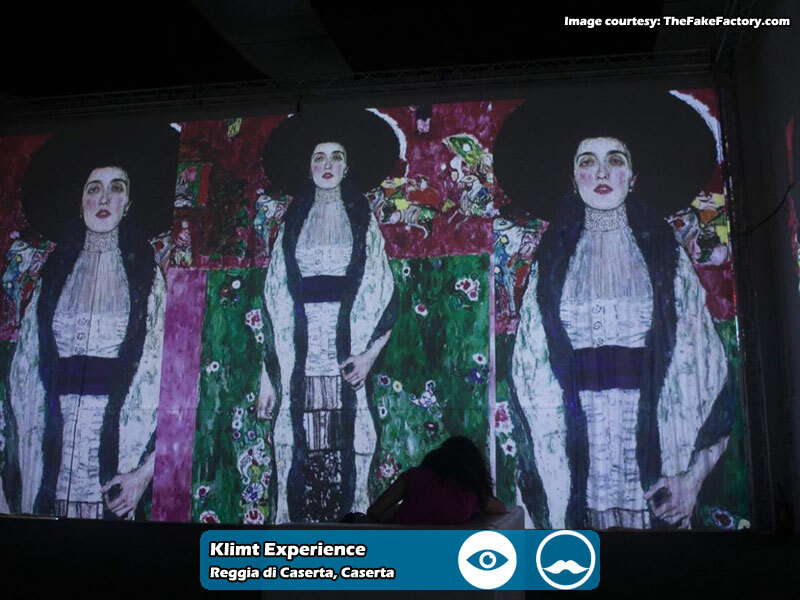 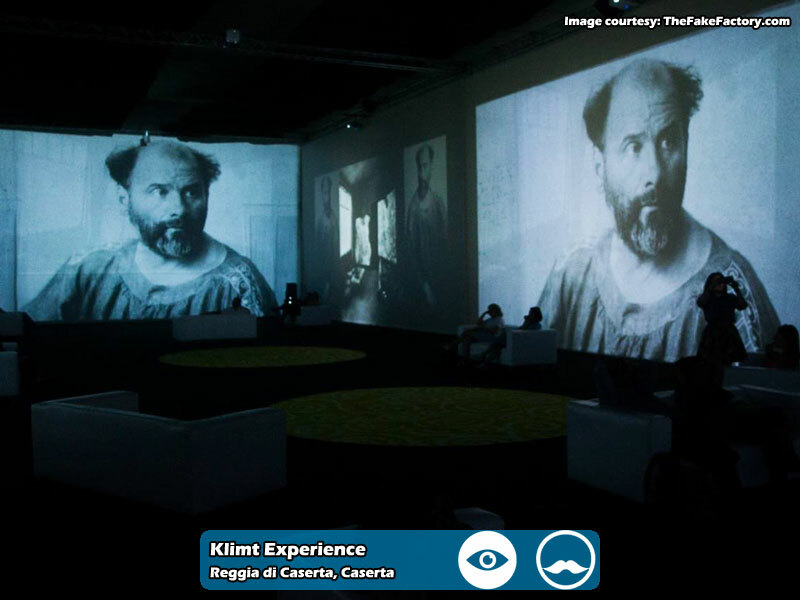 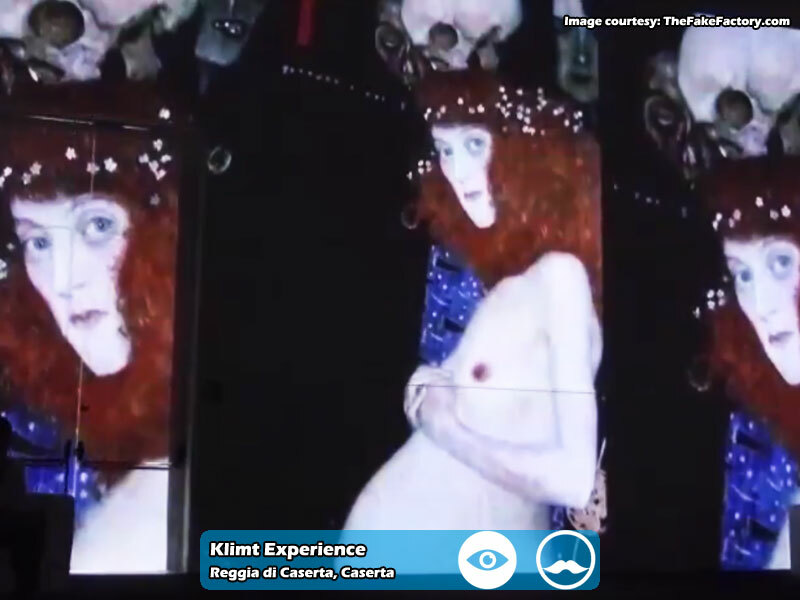 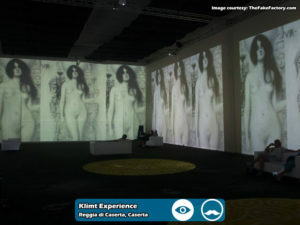 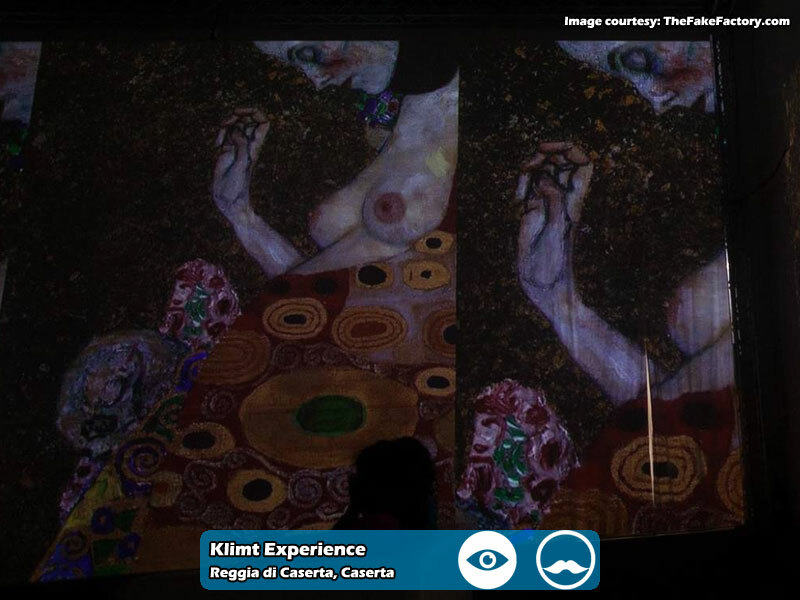 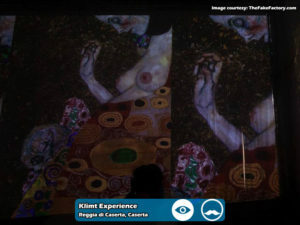 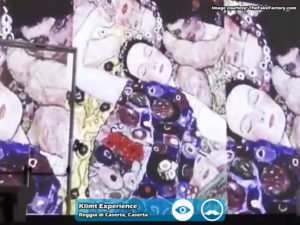 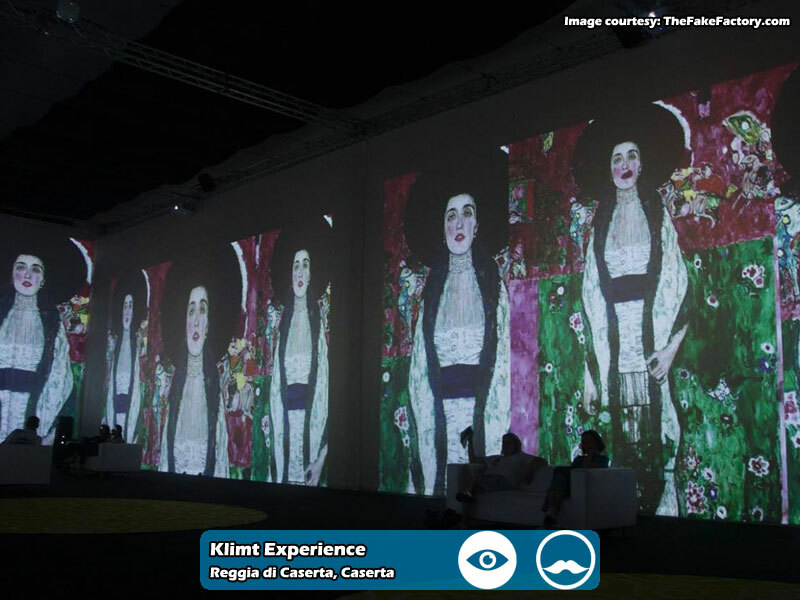 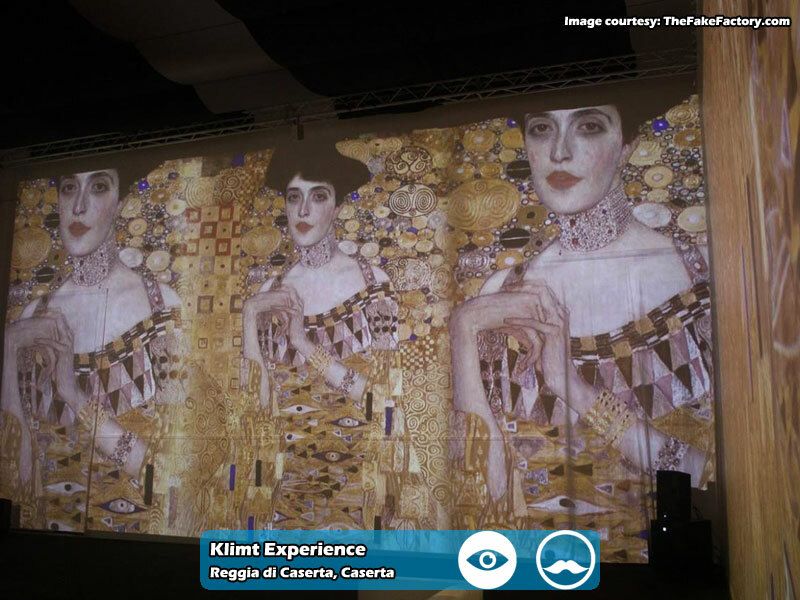 A total immersion, without any interruption in a symbolic, enigmatic and sensual world, where the triumph of the boundless art by the popular Austrian painter Gustav Klimt takes place: this is what the extraordinary Klimt Experience multimedia representation at the Royal Palace of Caserta (Reggia di Caserta) is going to offer from 7th June to 7th January 2018. 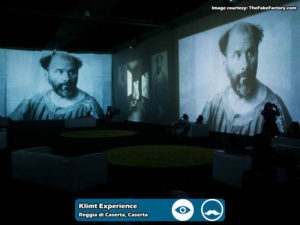 The main objective of this exhibition, which already achieved a great success in Florence, is to excite, fascinate, amaze, invite to examine in depth the knowledge of the man and the master, the comprehension of his artworks, the stylistic reading through the spectacular set-up of both details and pictorial technique. 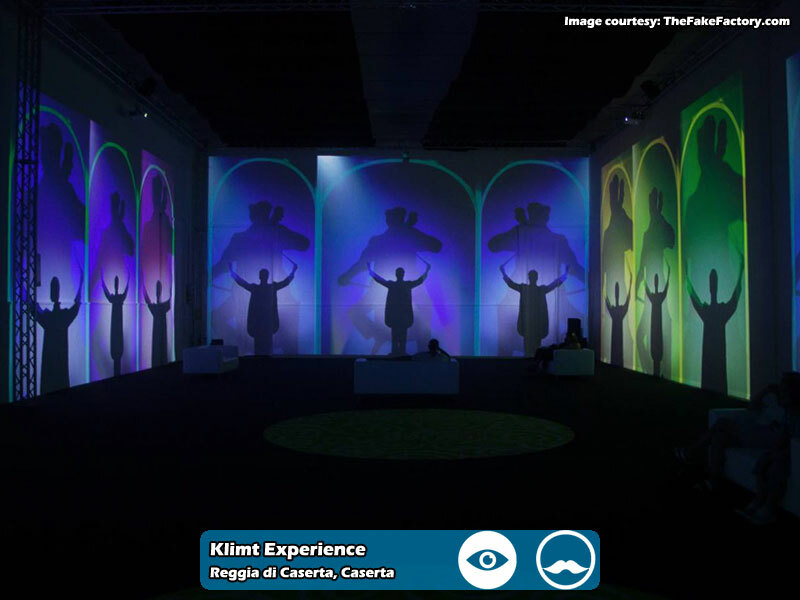 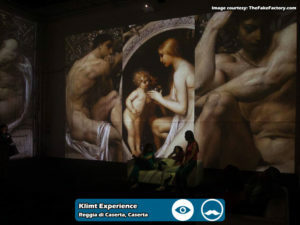 The core of the exhibition, produced by C&T Crossmedia with the contribution of GestShow Caserta for what concerns the organisational and set-up phases, is the “immersive experience” format designed and directed by Stefano Fake and realised by The Fake Factory video artists. 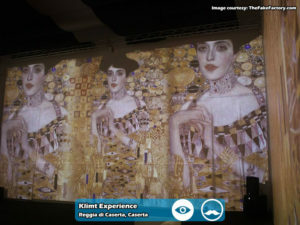 The show, a sort of story telling of images of Klimt’s universe, offers unique emotions again and again and is achieved thanks to the video mapping multi projections of hundreds of high-definition digital images. 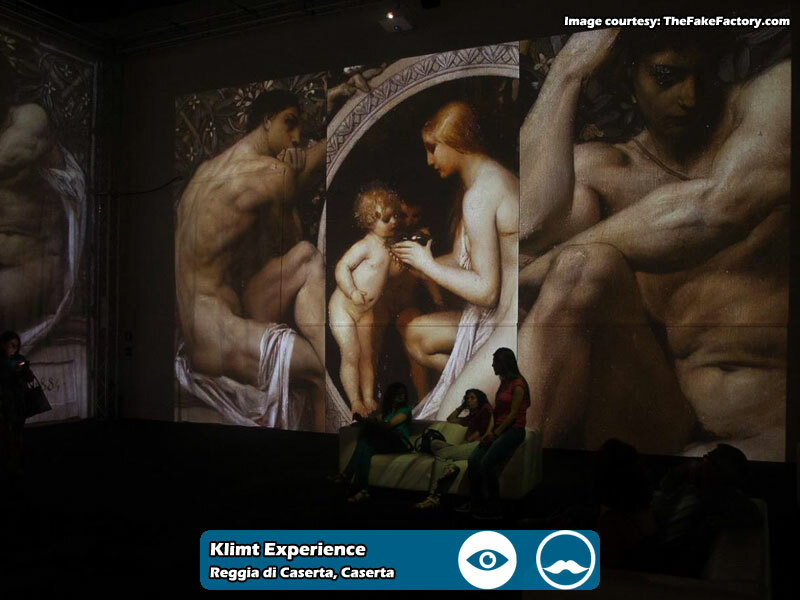 A complete artwork in digital format, which strengthens itself with the specific knowledge of our time to celebrate the triumph of beauty above anything else. 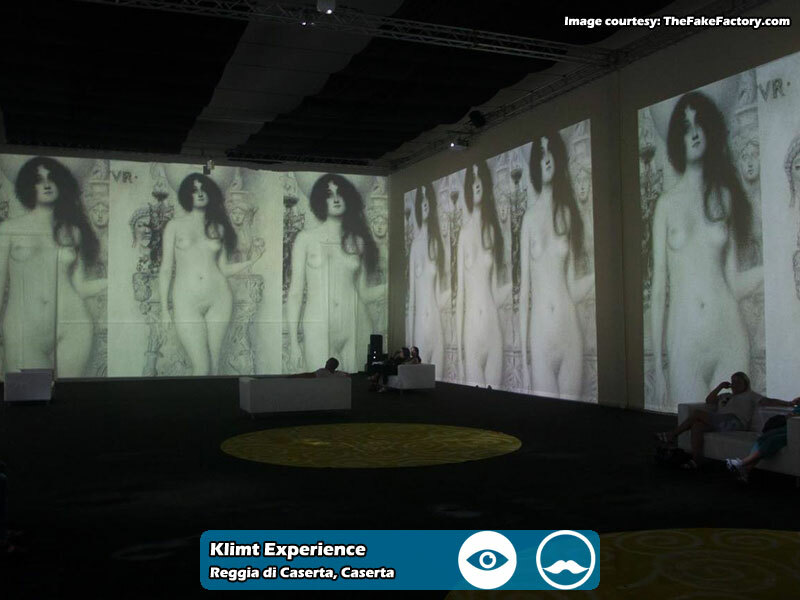 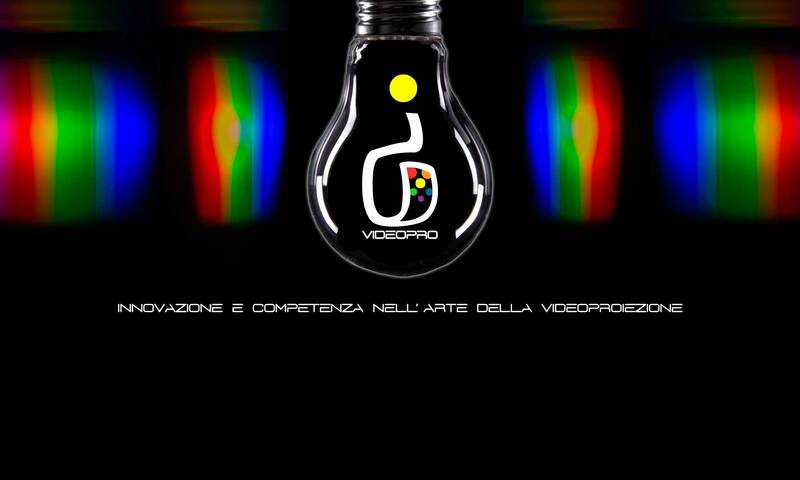 The exhibition takes advantage of the scientific advice by Sergio Risaliti and Matteo Vercelloni. From a technical point of view, it is performed through the use of a whopping 12 Optoma video projectors supplied by IC Videopro, namely 8 laser Optoma ZU510T with WXGA resolution and 5.500 ANSI Lumens together with 4 Optoma EH415ST with Full HD resolution and 3.500 ANSI Lumens.